U.S. farm policy (the Farm Bill) is rewritten every 5 years. It's generated in the House of Representatives. 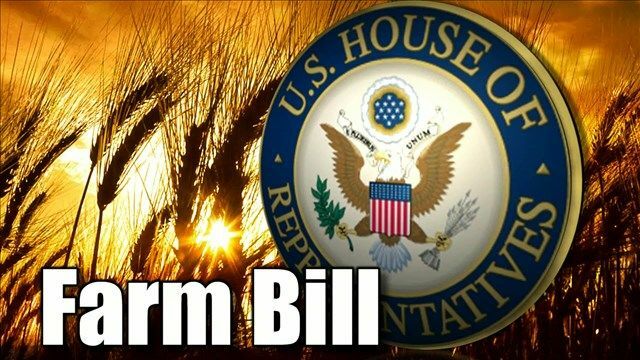 Look for a strictly partisan vote when the House Agriculture Committee marks up the farm bill this week. “You can’t put lipstick on a pig,” House Agriculture Committee Ranking Member Collin Peterson (D-MN) said of the Republican draft of the farm bill. “So we’re going to ask a bunch of questions, and we’re going to vote no.” Peterson said he will not offer any amendments to the bill during Wednesday’s hearing. The partisan rift in the Ag Committee centers on work requirements for able-bodied food assistance recipients in the Republican version of the bill. Peterson said he was blindsided by Chairman Mike Conaway (R-TX) over the Supplemental Nutrition Assistance Program (SNAP) changes in the bill. Peterson told AgriTalk listeners he is also not comfortable with changes to the commodity title of the farm bill. Peterson will get voted out next time around. He has abandoned his people. Ya, Peterson has overstayed his welcome. Time to go home and rest!! The sugar beet boys will miss his never-ending support that has cost the American sugar consumer, (AND the other non-beet crop farmers) a lot over the years. He's done well for a guy that couldn't make it in the private sector. Just like so many of our life-time politicians.......If one really "Can Not do it", become a political figure and head to D.C.